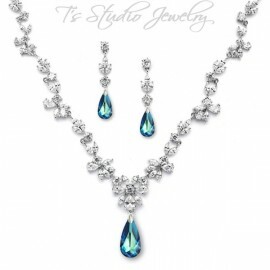 This lovely necklace features a cascade of two round-cut cubic zirconia crystals that flow down to a large teardrop pear-cut cubic zirconia crystal. 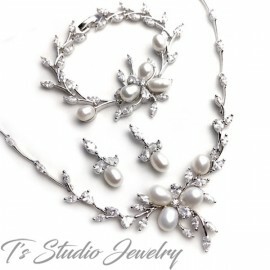 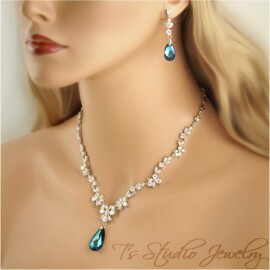 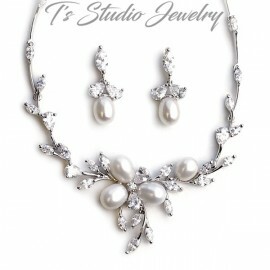 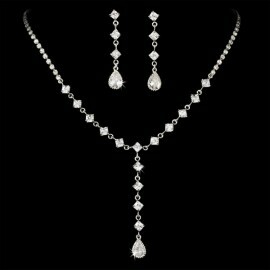 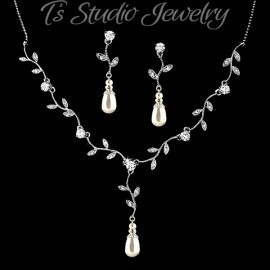 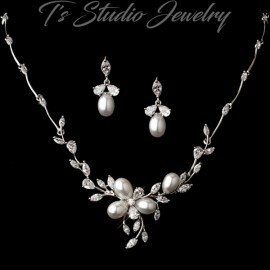 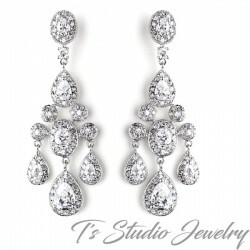 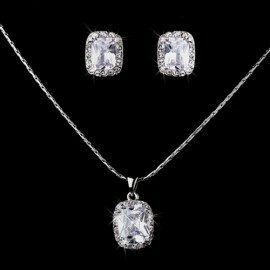 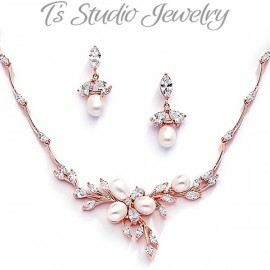 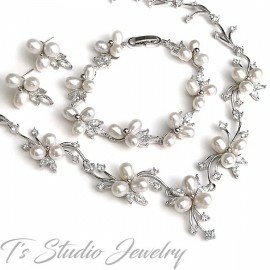 Look and feel glamorous on your special day with this fabulous and timeless necklace. 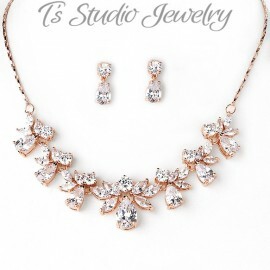 Size: 16” with a 2” drop and a 2” adjustable extender.